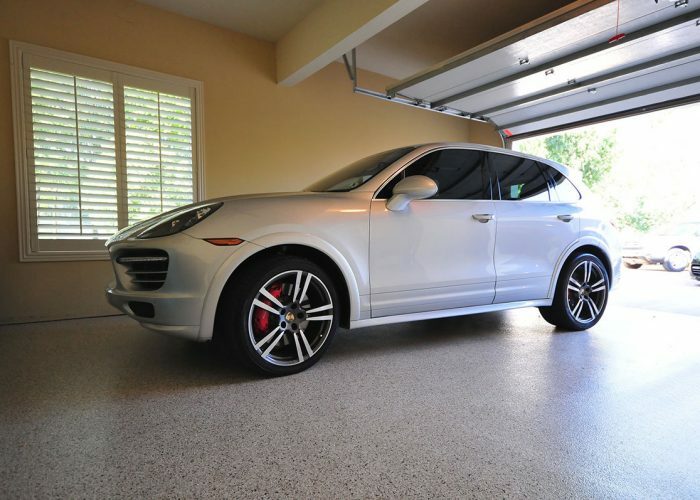 Sealing your garage floor has many benefits for the homeowner as it stops concrete dust from being transferred into the house and eliminates the problem of car or motorbike engine oil permanently staining the floor which is very unsightly and can make the area appear untidy and dirty. Garage floors are now being treated as more of an extension to the house [like an outdoor patio] and there is no reason why for a small investment that this space can’t look good as well. We have a range of different sealers to choose from, such as our best all round clear sealer – Rokite PR [made from chlorinated rubber] making it exceptionally hard wearing and completely oil resistant for years to come. 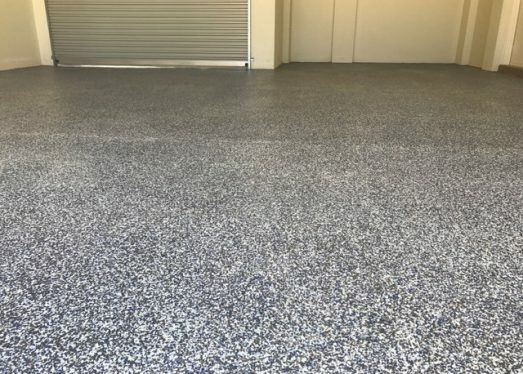 Rokite is the chosen concrete sealer in many commercial projects throughout Perth such as the new Princess Margaret Hospital carpark in Shenton Park and the multistorey carpark at Burswood Crown Casino as well as car dealerships and warehouses too numerous to mention. So when you get Rokite PR you get the sealer that the big boys use and rest assured you have something that performs its task and passes with flying colours every time. When we install Rokite we make sure the prep is done properly starting out with the cleaning: This entails scrubbing the floor with our rotary scrubber and detergents to remove any dirt or oil that may be left behind whilst vacuuming the dirty water from the surface to leave it dry and ready to apply the sealer. We will then apply 2 x good coats of Rokite PR and allow it to dry thoroughly. After 24hrs it will be dry enough to walk on and after 48hrs ready to drive on and put back all the stuff you had to take out before! After that you can sit back and forget about it as Rokite will do its job every day and protect the concrete so you can concentrate on more important things! For maintenance cleaning the floor we recommend either using a hose or a pressure washer and mild detergent if there is any oil sitting on the surface [as it won’t penetrate]and there’s no need for strong degreasers unlike an acrylic sealer which would have let the oil in by now. Call us for a free measure and quote and advice on any aspect and we will be happy to help.